Almost all of us have at some point dreamed of starting our own business but have not been able to get past our fear, anxiety, and uncertainty about pursuing those dreams. 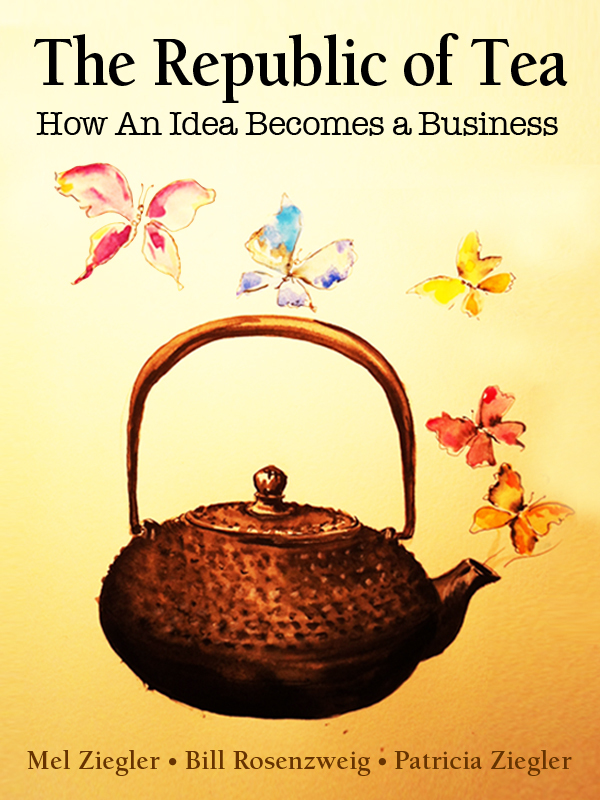 Through a 20-month exchange of faxes, The Republic Of Tea chronicles the feelings and emotions of three partners as they confront their fears and dreams to create an enormously successful start-up company. The book shows the budding entrepreneur how to start a successful business that embodies his or her own soul and economic realities. The insightful correspondence between Mel Ziegler and Patricia Ziegler, co-founders of The Banana Republic chain, and their new partner Bill Rosenzweig provides a map for the entrepreneur. It tells of the day-to-day breakthroughs and breakdowns of the creative process–inventing a product, developing a plan, and structuring a business partnership–and even provides the actual business plan used to raise money for the venture. As part of the new Currency paperback line, the book includes a “User’s Guide”–an introduction and discussion guide created for the paperback by the authors to help readers make practical use of the book’s ideas. Purchase The Republic of Tea. I bought this book on Amazon a few months back as I’ve recently launched a tea company and thought it might be a great resource. More than a resource, it’s a deeply inspiring read wherein, through Bill, you become a student to Mel as the guru. It was like seeing an Alan Watts lecture played out as the creation of a company. Through Mel’s reflections, questions, and especially his silences we follow Bill’s intentions to the edge of the cliff of entrepreneurship where he is ultimately able to make a leap of faith. I’ve recommended this book to other aspiring entrepreneur as well as anyone who wants to see how a company is dreamed into creation in such an organic way. It’s especially curious for others of my age group (I’m 29) who wonder what business was like before widespread use of the internet. In case the fax pages don’t give it away, this was a different tech era – even AOL for DOS wouldn’t be launched until the middle of the events of this book. really worthwhile i’ll book-marked the quite next time in the meantime continue the good perform.